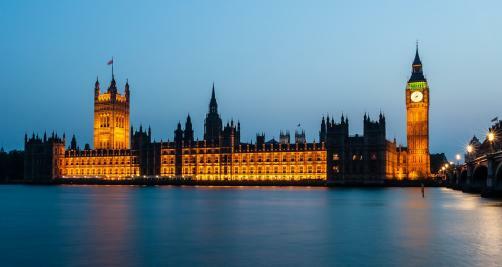 After a parliamentary debate in the House of Commons regarding making Orkambi available to patients with cystic fibrosis (CF), MPs have now written to the company calling on them to show “the utmost urgency to proceed with negotiations”. The debate comes after Vertex had rejected a counter-proposal by NHS England, in regards to the price that the service was prepared to pay for treatment was rejected by Vertex. Orkambi is able to treat about 40% of patients with CF, compared to its breakthrough treatment, Kalydeco, which can only treat 5% of patients. The sticking point is the price tag that Orkambi comes with – it has a list price of £100,000 per patient and the treatment has to be taken continuously. There are approximately 10,400 people currently living with CF in the UK and the cost to the NHS in treating 40% of these patients at the list price was deemed beyond its means by NICE. The letter to Vertex, signed by James O’Shaughnessy, Secretary of State for Health, and Steven Brine, Secretary of State for Public Health and Primary Care, noted the difficulties associated with the pricing of the drug. One paragraph reads, “We recognise and appreciate the significant contribution Vertex is making in its aim to progress towards a cure for cystic fibrosis. We also know that you understand the difficult task NHS England faces in ensuring access to Orkambi, while also securing value for the NHS and NHS patients and the role that NICE plays in this […] the Government will rightly stand by any proposal that will provide the best value and outcomes for patients and the NHS”. The petition that originally called for the debate on access to Orkambi garnered 116,000 signatures. Some patients waiting for the treatment have been allowed access to the drug under compassionate grounds but there are still others waiting for the treatment without access. The average lifespan for those with CF is 37 years and so the urgent need for patients to receive treatment to prevent worsening of outcomes is crucial. In a strongly-worded statement from a Vertex spokesperson, the company reacted to the MPs' letter: "We are pleased that the Government is in agreement that we urgently need to find a solution to get our medicines to cystic fibrosis patients as soon as possible and are encouraged that we already have a date in the diary in the coming days to start a meaningful dialogue. As we previously said, negotiations over email are rarely productive so we are surprised to be asked to respond to a letter via the media that we have not yet received." The UK is not the only place where the pricing of the drug is under fire, with the price tag in the US being even heftier, at $300,000 annually per patient. The Boston-based company has recently come under scrutiny after it provided Governor Charlie Baker with $7,500 of campaign funds shortly before Baker went onto defend the price of the treatment at an industry event. To read about the development of Kalydeco and Orkambi, you can read an interview with one of the principle researchers behind the treatment here.